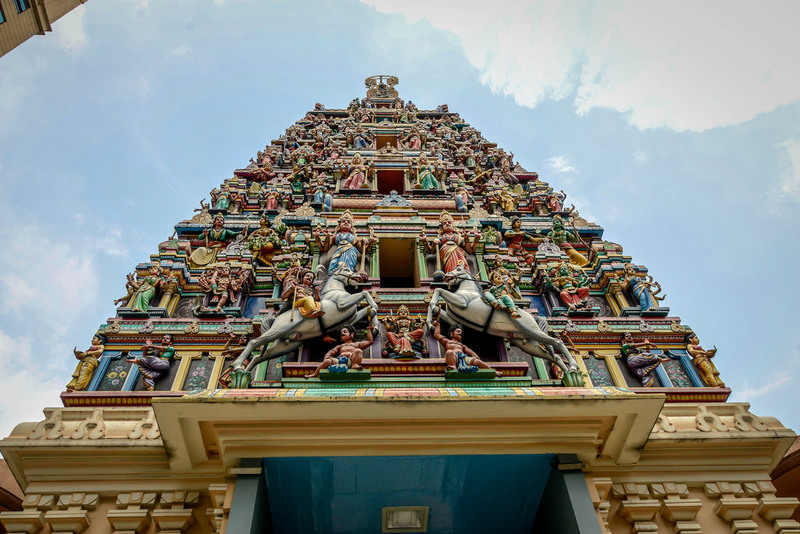 Delve into the history of Hinduism and witness the "puja" rites at the oldest and richest Hindu temple in Kuala Lumpur. This tour will take place at Temple Sri Mahamariamman on High Street, an important place of worship for early Indian immigrants, The temple itself is also a spectacular sight. You get to listen to the story of Hinduism in the embrace of dramatic towers, ornate embellishments, and multi-coloured halls. If you're interested to see a one-of-a-kind architecture and learn about the significant role of Hinduism in Malaysia, this tour is for you! Meet at Sri Mahamariamman Temple. Learn about the brief history of Malaysian indians and structure of Hindu Temple. The Sri Mahamariamman temple in Kuala Lumpur is one of the most popular temples among worshippers and visitors. It was built in year 1873 but was only opened to the public in the 1920s. It is the oldest and richest Hindu temple in Kuala Lumpur. The most remarkable feature of the temple is a structure which is similar to the shape of a human body with its head positioned towards the west and the feet pointing east. See a devotional activity known as Abhishekam or Puja.